This coming week, we celebrate Catholic Schools Week at All Saints Catholic Academy. It is a week filled with fun each and every day. 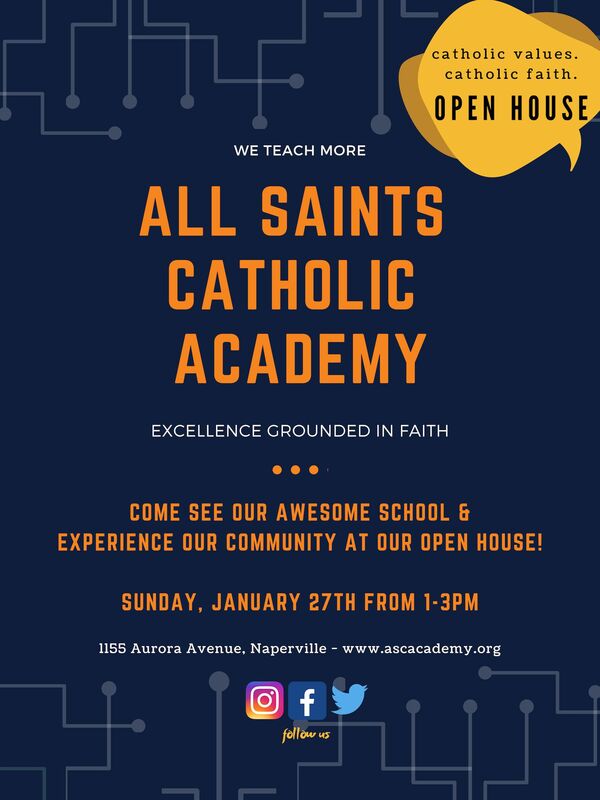 We kick off the week with our 2019 Open House this Sunday, January 27 from 1 - 3 pm. I personally invite all of you to come out of the cold on Sunday, and come to All Saints where it will be warm and inviting inside. The Open House presents a tremendous opportunity for you to visit the school, and not only visit your student's classroom this year, but also to take a look ahead to next school year. Meet the teacher(s) and see the classroom(s) that your students will be moving to this coming fall. Do you have one of our littlest 'saints'? This would be a great time to find out more about our Growing Saints Early Childhood preschool program for three and four year olds. Were you aware that ASCA has an exceptional and well balanced curriculum, with excellent academics in a true school setting, for our three and four year old students? Preschool students enjoy Spanish, gym, art and music with our K-8 teachers, and lots of opportunities to grow socially, physically, and emotionally with play and fun. We offer flexibility and choice with both full and half day options - you craft your child's program. Extended care is also available for preschoolers, with end to end care. The ability of our program to meet your child and family's needs, as well as provide a firm academic foundation that is built for each student, are what truly makes our preschool unique; and why the program is growing! Our preschool students are well prepared, confident, and ready for the next part of their academic journey. Do you have a student who is moving to the Junior High Academy this fall? I will bet that both you and your student have lots of questions! There is so much to see, and you and your student will enjoy learning more about what happens in 6th grade and beyond. We encourage you to bring a friend who may like to know more about All Saints and why you love it so much. Families who attend the Open House will have the opportunity to complete a scavenger hunt that will take them on an adventure throughout the school building. All those who turn in a completed form will be entered in a drawing to win their re-enrollment fee - a $200 value. Pretty sweet! At the Open House, we also are opening up registration to families who will be new to ASCA. 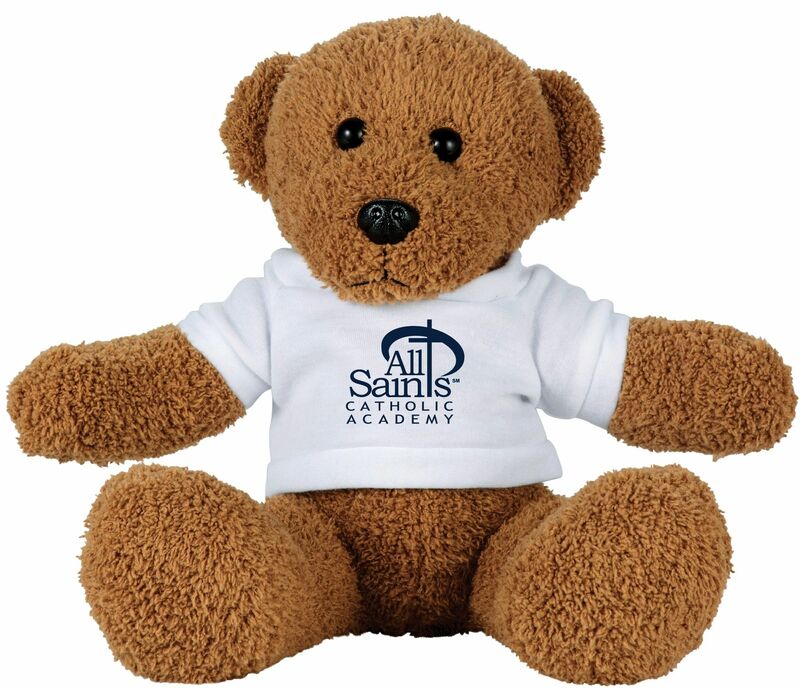 This current school year, we had over 120 new students from preschool through grade 8 register at All Saints. We anticipate meeting and welcoming many new families who have heard about our amazing students and school, and would like to find out more. On this day, we are showing our All Saints pride in who we are, and what we do. Wear your uniform or other All Saints spirit wear. It is a great day to be a Saint! Remember that YOU can Help Us Advertise the Open House - and earn an Out of Uniform Pass for your student(s). Please help us SHARE THE GOOD WORD about our upcoming open house on Sunday, January 27th from 1:00 - 3:00 pm. Doing so can earn your student an out of uniform pass! Students/parents must post the ad between today and this Saturday, January 26 to get the out of uniform pass. Either a screen print of the post or a picture of the flyer hanging up must be emailed to socialmedia@ascacademy.org by 1/26, along with the student's name(s) and homeroom teachers. Parents should title the email "Open House Ad". Also on Sunday afternoon during the Open House, our gym will also be very busy with the annual Knights of Columbus Youth Free Throw Contest at All Saints Catholic Academy. All boys and girls ages 9-14 years old are invited to participate, so come on out to compete. There is NO ENTRY FEE for this event. Doors open at 12:00 pm; and registration closes at 12:30 pm when the competition begins. Boys and girls will compete within their own gender and individual age category, thus there will be twelve different categories of competition. 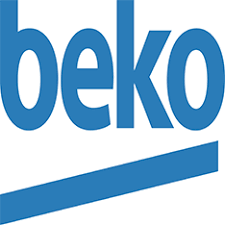 Winners are awarded a Council Level Prize and have the opportunity to advance through three additional levels of competition: District, Regional and State Level. So, come on out to enjoy the Open House - this Sunday, January 27 from 1 - 3 pm. A total of 358 students and parents signed up for our volunteer sessions. During four packing sessions at Feed My Starving Children, 211 students and parents packed 161, 568 meals, which will feed 443 children for a year. 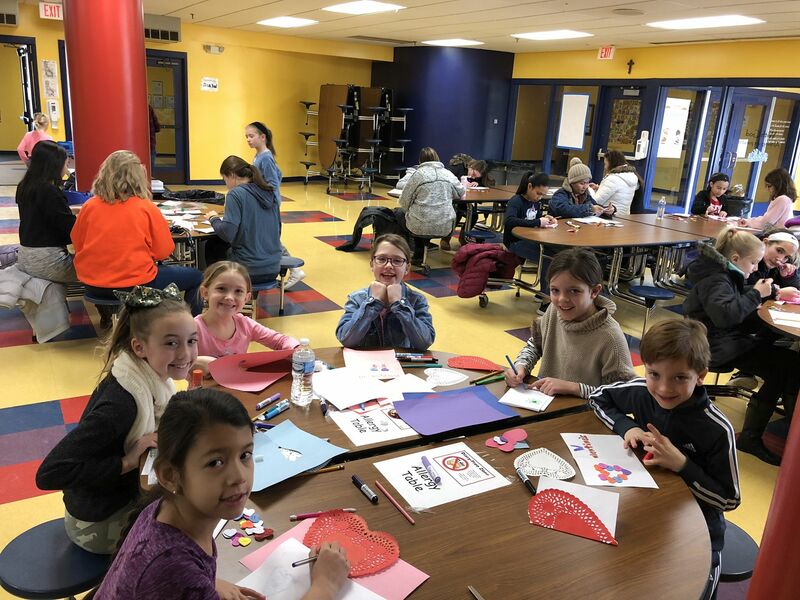 80 students and parents make 220 Valentine’s Day and spring themed cards for parishioners in need who attend St. Elizabeth Seton Church. 24 students and parents help sort food at West Suburban Food Pantry. 21 students and parents spent time with the residents at St. Patrick’s. 22 students and parents helped clean up at St. Margaret Mary Church. 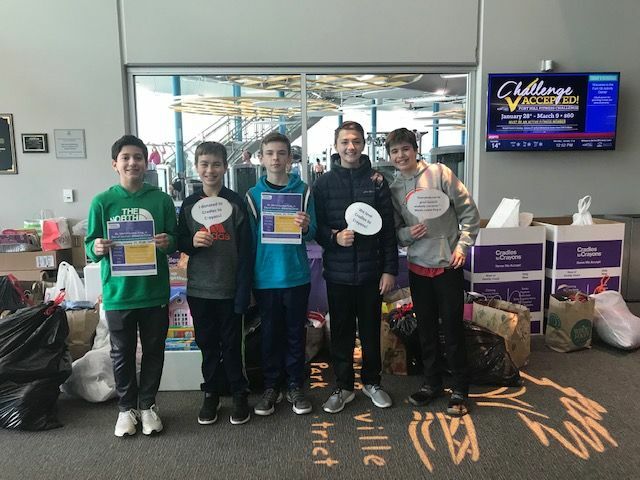 I know that some of you created your own service project, which included making baked goods for our firefighters, and collecting donations for Cradles to Crayons. We are so proud of all of the service that you did for others on MLK Day! Way to go! Just a reminder: Students are required to fill out and turn in a Reflection Form about their act of service by the Friday, February 1 deadline. Students who do not turn in a Reflection Form by the deadline will be marked absent for the day. If you have any pictures from MLK Day, feedback regarding your day of service or possible volunteer opportunities for future MLK Days, we would love to hear from you. Please email Robin Beck at robindbeck24@gmail.com. Thank you! Our school community, and in particular, our students, have been very welcoming to and supportive of our students who have special needs. I would like to let you know about an exciting social skills group in Bolingbrook that includes peer buddies and skill builders. The group is looking for both - skill builders and peer buddies! It has been shared with me by some of our aides here at ASCA that so many of our students are already great peer buddies, exhibiting great patience and compassion with their students, and who might be able to share these valuable skills with others outside of ASCA. There are some of you who might feel that your student could benefit from the program as a skill builder. Please note that the majority of the groups are for K-5, but that they are looking to start a Pre K, and a middle school and high school group! If this is something that you think your student might be interested in, please click here to find out more. Groups start next week. Yes, somehow didn't you know that this subject would return........................................... Well, it is colder now than it was in the fall, with a lot more families picking up and dropping off students in the car line at Door 7. All families should enter the campus through the western entrance, and exit via the eastern entrance. Cars that are dropping off students at Door 7 should be doubled up (forming two lines) until the merge sign that directs drivers to merge into one line. Why do we do this, you ask? If we did not do this, cars would be backing up onto Aurora Avenue, which would be a headache and a hazard for both ASCA parents and other cars passing the school. So, please be kind, form two lines, and allow your fellow ASCA parent to merge at the appropriate point. To our preschool parents - your line to drop off your student at Door 5 can not be formed until 8 am. Some of you are lining up so early, that you are blocking families who are trying to drop off their K-8 student before 8 am. I received a report of a preschool family lined up to drop off their student at 7:51 am this morning. Please do not queue up until 8 am or later for your 8:10 am drop off. This time of year, the weather and resulting traffic can be frustrating. Please give yourself enough time to arrive at school, or to pick up at the end of the day. On a related note - please make sure that your child is dressed appropriately for the weather when they leave your vehicle. Although, it may be warm and toasty in the car, it is pretty cold outside. I would like direct everyone to pages 30-32 of our ASCA Parent Student Handbook for review the parking lot/car line procedures. Click here for the handbook. Have you completed your electronic re-enrollment for the 2019-2020 school year? The deadline is tomorrow, Friday, January 25. Current PS3 parents were also asked to complete the survey that was sent electronically to inform us of your Pre K schedule preferences for your student. If you need assistance in completing the re-enrolment, need a password reset, or have questions or concerns, please contact Patty Bajek at pbajek@ascascademy.org or (630) 961-6125. Spots can not be held for students who do not re-enroll by 3:30 pm on Friday, January 25. The current family re-enrollment fee is $200 per family. This fee will be charged to all re-enrolled families via their FACTS account, and will be due within 10 days of billing/invoice. Are you a health professional who might like to come to ASCA on the morning of February 15 to share information and your expertise with our junior high students? If so, please contact Mr. Lindgren at glindgren@ascacademy.org. Your personal invitation to DDA went home the end of last week. Be sure to RSVP by the Early Bird deadline this Friday, January 25th for reduced ticket pricing. Be sure to watch the ASCA Facebook - click here - and DDA website - click here - for announcements and auction updates. We look forward to celebrating with you! All Saints has been able to secure a special DDA booking price of just $119 at the beautiful boutique hotel, Hotel Indigo in Naperville. Keep the celebration going after the DDA and treat yourself to a little pampering. When is the last time you enjoyed such a great night out while supporting such an amazing cause? The hotel can provide free shuttle service to and from ASCA if needed. Hotel Indigo’s phone number is (630) 778-9676 or use this link – click here - and then click the Book Now box. Deadline to secure this special rate is January 25, 2019. DEADLINE IS FIRM! Tuition Credit Raffle Tickets are Going, Going...Almost Gone! Time is running out to purchase your chance to win $5,000 toward your 2019-2020 tuition. Only 150 tickets will be sold at $100 each and fewer than 30 remain! DDA volunteers are available for ticket sales after Mass each week or you can purchase your ticket online at www.ascadda.org. Forms are also available at the Welcome Desk. Cash, Check (payable to ASCA) or FACTS (must be set up for auto-pay) will be accepted. Join us Saturday, February 23, 2019 6 pm - Midnight at ASCA! Please return your order form and payment by the Thursday, January 31 deadline. While the deadline for t-shirt orders have passed, there will be a limited amount of shirts available for purchase in limited sizes. Help support the 8th Grade Legacy Gift through purchases of Nothing Bundt Cakes. Orders will be taken through Monday, February 4, and available for pick up on February 12 - just in time for Valentine's Day. Click here for the order form. This week’s YOGURT BEACH Home Athlete of the Week is Thomas Lukitsh (Boys 8B2) Thomas scored 22 of the 31 points scored against OLP. Way to hustle Thomas! Enjoy your trip to “the Beach”! From the Saints Sidelines . . . The long, cold weekend did not slow our Saints. Bringing home wins this week were – Girls 5A, 5B, and 7A; Boys 5A, 5B and 7B1. Keep up the good work Saints! As we enter the second half of the season . . . be in the know . . . visit http://www.dplbba.org to keep up with the current league standings. St. Francis H.S. is hosting Middle School Nights with FREE admission for all middle school students attending. Win door prizes, enter raffles and see what life is like as a SPARTAN! Pep Band: Friday, January 25, 2019 at 5:30 p.m., Meet in the SFHS Music Room. Play with the SFHS Band during the Boys’ basketball game! DON’T FORGET . . . the Knights of Columbus are hosting the annual Free Throw Contest in our very own ASCA gym to kick off Catholic Schools Week. Be sure to sign up and show us what you’ve got!